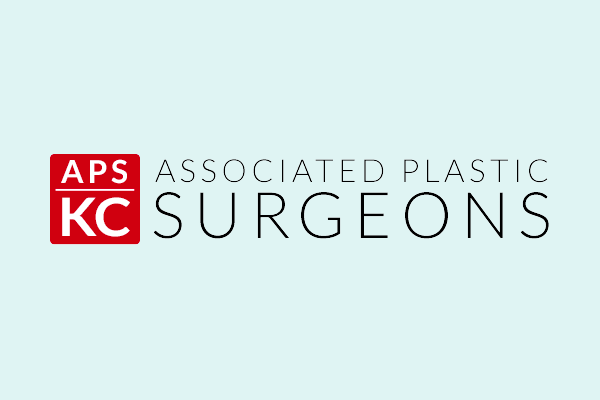 At Associated Plastic Surgeons, our full-service medical spa provides Kansas City patients with customized treatments and medical-grade skincare products. A consultation with one of our licensed estheticians can put you on the path to youthful, glowing skin. Many patients start their journey of facial rejuvenation with a treatment plan designed by our estheticians. Others are so pleased with their surgical or injectable results that they want to complement their look with a customized skincare treatment plan. If you’re interested in meeting with one of our estheticians, call our office at (913) 451-3722. You can also request your complimentary skin consultation using our online form. The cosmetic counter at the department store is bursting with creams and lotions guaranteed to be the “most effective” in fighting fine lines and wrinkles — sometimes at a very high price. But the medical-grade products for skin care we sell at our Kansas City practice have higher levels of the effective ingredients, and they often cost less than that jar from the cosmetic counter. APS Skin Care offers you only the finest and highest quality cosmetic, sun protection, and skincare collections sold exclusively by physicians. Look your most beautiful with products that protect and enhance the appearance your skin. Your face, hands, and body will glow with rejuvenated freshness after our custom aesthetic treatments. A new dimension in hair removal now exists. LightSheer offers a unique and effective solution for permanent hair reduction, providing optimal results with maximum treatment comfort. This permanent laser hair removal option for Kansas City patients is as painless as it is effective. You’ll be rid of unwanted and unsightly hair after a short series of treatments. A FDA-approved, non-invasive technique that revitalizes your face with a broad spectrum of light. A series of treatments is recommended for optimal results. IPL will remove facial redness, age and sun spots, broken capillaries, and melasma (dark patches of skin). The VI Peels contain a synergistic blend of powerful ingredients suitable for all skin types. This medium depth peel will improve the tone, texture and clarity of the skin, reduce age spots, improve hyperpigmentation (including melasma), soften lines and wrinkles, clear acneic skin conditions, reduce acne scars and stimulate the production of collagen for firmer, more youthful skin. The Vi Peel is safe for all skin types including darker skin. A customized solution of alpha- or beta-hydroxy acids, used to improve and enhance the appearance of skin by removing its outermost layer. A deep-cleansing treatment that includes a delicate enzyme, an alpha- or beta-hydroxy acid, and a customized mask to create healthy, glowing skin. A delicate exfoliating treatment designed to enhance product penetration and hydration, followed by a customized soothing mask. The SkinPen II is a microneedling treatment that improves fine lines, wrinkles, acne scarring, pore size, lax skin, uneven skin tone and thin skin. This minimally invasive treatment promotes radiant, even skin tone and texture. SkinPen is the safest, most effective vertical microneedling device which offers state-of-the- art skin rejuvenation technology. A HydraFacial resurfacing procedure thoroughly cares for your skin by providing cleansing, exfoliation, extractions, and hydration with its Vortex-Fusion® of antioxidants, vitamins, peptides, and hyaluronic acid. CoolSculpting technology safely delivers precisely controlled cooling to gently and effectively target the fat cells underneath the skin while leaving the skin itself unaffected. The treated fat cells are crystallized (frozen), then die. Over time, your body naturally processes the fat and eliminates these dead cells, leaving a more sculpted you. Let us enhance your lashes. Goodbye mascara, hello lash extensions. Now you can have amazing natural looking lashes. Dermaplaning is a skin care treatment that removes dead skin cells and vellus hair (aka peach fuzz).